In Eurorack, as the saying goes, “everyone needs a bigger case”. 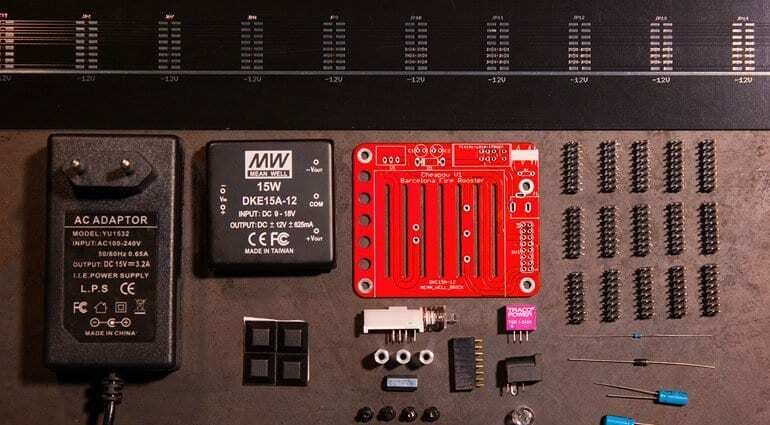 However, we’ve all got to start somewhere and working out the case and power supply side of things is one of the big first hurdles to building your own modular. Befaco’s Jumpskiff is a solution that’s not only cheap but looks good too. Not sure about the name but the Jumpskiff is a lightweight and compact skiff that you can build yourself. It gives you a full 98hp of space and power connections for up to 14 modules. 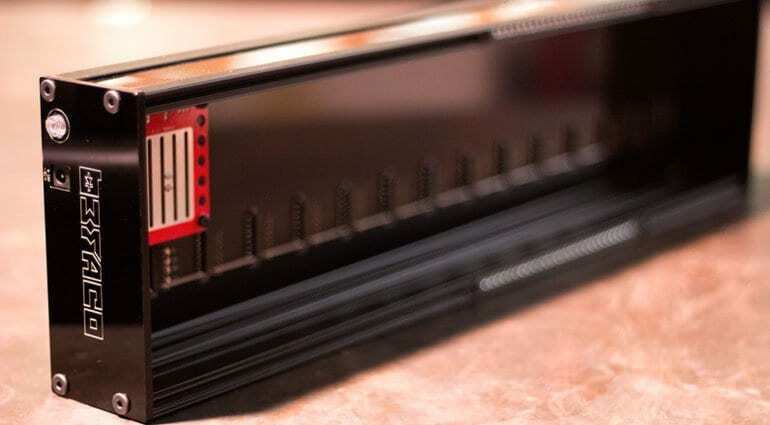 The integrated power supply gives out 625mA on +/-12v and 1A on 5v rails. 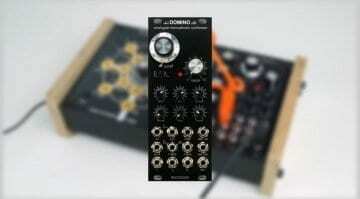 It’s not very deep at 52mm so you might have to wary of some of the chunkier Eurorack modules. The whole kit comes with everything you need, the case, the power supply, the bus, the rails, 70 hex nuts and the wall wart. All you need is a soldering iron and spare hour to put the thing together. 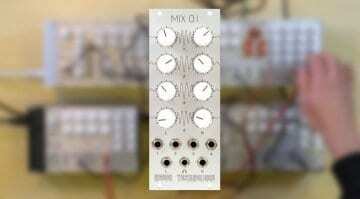 Befaco say that it came about through requests from people attending their Eurorack DIY workshops. So it’s not just for starting out, it’s also designed with the gigging musician in mind. 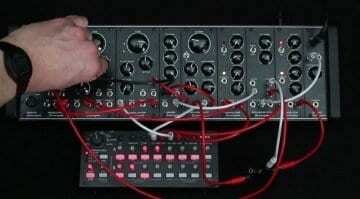 Someone who wants a lightweight case for taking a few modules out for a live performance. The retail price is €259 which is pretty good value considering a 4ms power supply would often cost that much. 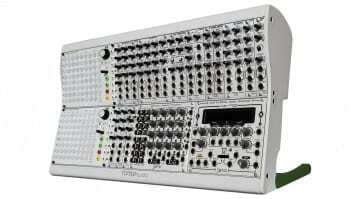 There are similar skiff cases from Intellijel for around €359, or a slightly larger Make Noise one for €295. So, Befaco might have hit on a good price point provided you don’t mind building it yourself.